Sustainable food production in Sweden – the potential of agroforestry systems? 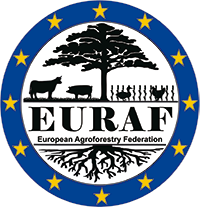 The aim of the project, that started 2012, is to study possibilities to develop productive and economically sustainable agroforestry system for food production in Sweden. The project is a cooperation between researchers and farmers. The farms design and develop agroforestry systems based on their interests. The project has a special focus on edible forest gardens and silvo-pastural systems on semi natural grasslands. Researchers and farmers develop methods and research designs to evaluate the systems. Assessments of economy, resource use, effect on climate change, support to biodiversity and generation of ecosystem services will be done. Perennial crops that are edible and can be grown successfully in Swedish climatic zones will be identified and plant material developed and made available for interested farmers. The results will be important for the transition farmers are facing today, where food and energy production have to be combined in modes that reduce the system’s negative impact on climate and generates essential ecosystem services, e.g. soils as sink for carbon dioxide. For further information please contact: Johanna Björklund (Johanna [dot] bjorklund [at] oru [dot] se), Karin Eksvärd (karineksvard [at] inacre [dot] se). A thesis in the Agroecology Masters Programme at Department of Agrosystem at the Swedish University of Agricultural Sciences with focus on intercropping between Poplar trees and faba bean. For further information please contact: Mohammad Sakil Sarwar (mosa0002 [at] stud [dot] slu [dot] se), Georg Carlsson (Georg [dot] Carlsson [at] slu [dot] se).